Another day, another ideology-fueled pseudo-narrative out the window. 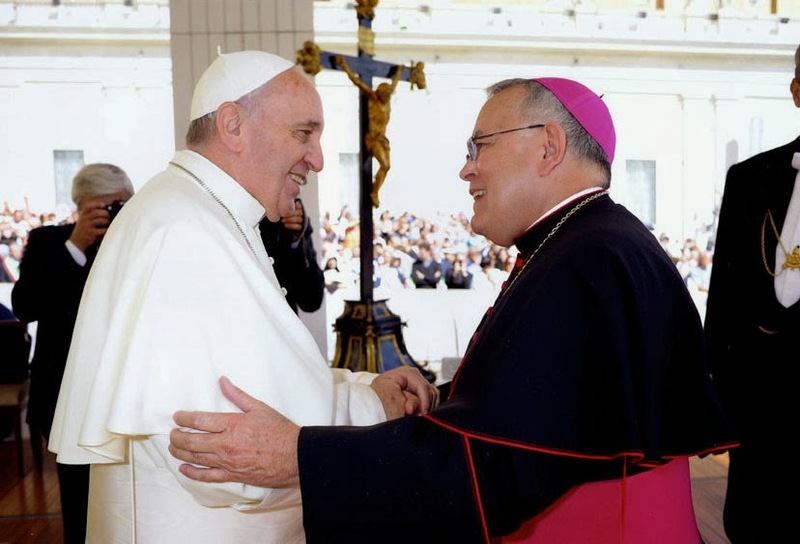 As the Pope continues his deliberate process of flushing and reconstituting the dicasteries of the Curia, Roman Noon this Thursday brought another notable development as Francis named the voice behind the quote above – Archbishop Charles Chaput of Philadelphia – as a member of the Pontifical Council for the Laity. After all the hysteria in some quarters these last months, the sudden case of crickets is rather amusing. Just a few weeks ago, see, Francis' remaking of the dicasteries was apparently a matter of widespread, intense interest. To be clear, this isn't to say that Laity is Bishops. Especially given the prevalent framing out there of late, though, it ain't Bupkus, either. The new intake at Laity was rounded out by several scarlet-clad heavy hitters, including Schönborn, Chito, the Religious chief Joao Braz, Nairobi's John Njue, Rio's Cardinal-designate Orani Tempesta and Reinhard Marx of Munich, the lone European ordinary among Papa Bergoglio's Gang of Eight. Beyond the prelates, 12 laypeople were named as either members or consultors to the council. Unlike congregations, the current Curial protocols allow for the non-ordained to be named to the pontifical councils. Spaces for lay involvement in dicastery roles are almost certain to be expanded once the full bore of Francis' intended structural reform comes into place over the next year or so. According to a statement from the Council, the new appointments do not represent a full reboot, but are merely additions to the pre-existing membership, which from the US already included Carl Anderson, the Supremo of the Knights of Columbus, who likewise remains on the lay board overseeing the Vatican Bank. 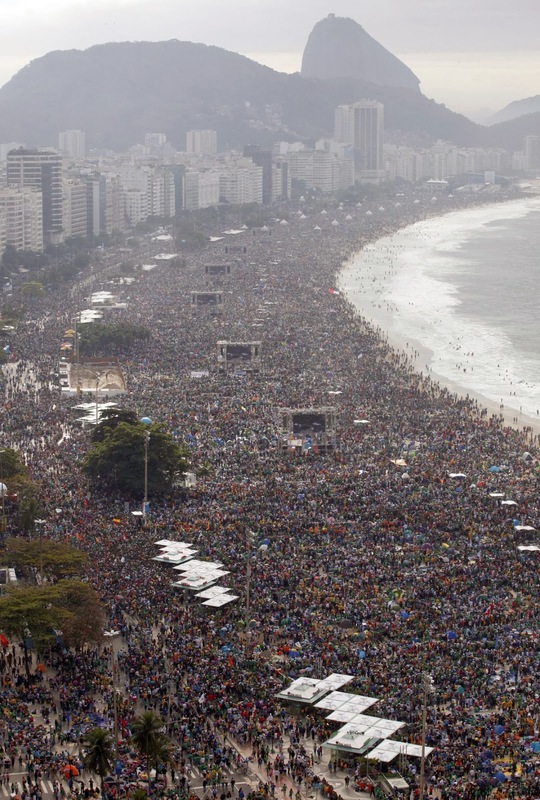 Beyond its broad competence in facilitating and encouraging the ecclesial mission of 99.6 percent of the church's presence, the Laity arm's most prominent responsibility is organizing Catholicism's "Olympic event," World Youth Day, which saw its second-largest turnout ever last July, as an estimated 3 million converged in Rio (left). Though the JPII-chartered observance only takes place on a global level every third year – next in Krakow in 2016 – it's intended to be an annual moment in the local churches. Accordingly, this morning's reshuffle at Laity was released alongside Francis' message for the 2014 WYD, dedicated to the Beatitudes theme of "Blessed are the poor in spirit, for theirs is the kingdom of Heaven." On the wider Curial front, among the offices where Francis still has yet to reconfirm the current rosters or appoint new ones, two in particular stand out: the Apostolic Signatura, whose Wisconsin-born head, Cardinal Raymond Burke, has widely been perceived as a center of resistance to the new pontificate, and the Congregation for Divine Worship and the Discipline of the Sacraments, where months of rumors have tipped the departure of the current prefect, Cardinal Antonio Cañizares, back to Spain as archbishop of Madrid... to be replaced by the incarnate lightning-rod of the "Liturgy Wars," the MC of two decades to John Paul and Benedict, Archbishop Piero Marini. As some still need to figure out, though, especially these days, only time will tell how it all goes down.